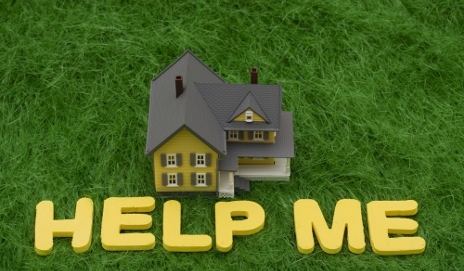 Have you had an issue with the leasehold on your home? Last week’s announcement that the government would look to ban new-build houses being sold as leaseholds has certainly stirred up strong emotions. Ground rent doubling clauses – which are at the centre of the argument – have been described as everything from a ‘scandal’ to ‘the great British leasehold rip-off’. Under new proposals, the government would see this practice banned, but have you ever had an issue with the leasehold on your property? The issue primarily surrounds housebuilders inserting ground rent ‘doubling clauses’ into agreements on new-build houses. This can render the properties essentially worthless in the long run. As we reported last week, a ground rent that stands at £250 a year now could, in theory, cost £8m a year after 150 years, a possibility that can make a property impossible to sell on. Another issue is unclear freehold ownership. In recent years, developers have been known to sell off the freehold of properties to investment companies without formally letting the leaseholder know. Legally, this is allowed, but for many homebuyers, it’s resulted in escalating costs and frightening quotes to buy their freehold further down the line. A new proposal by the government seeks to tackle these issues by outlawing the sale of new-build houses as leaseholds. Those defending housebuilders, however, see it as a way of them making schemes ‘financially justifiable’, or offer an argument that there’s no such thing as ‘pure ownership’. The government’s crackdown on leaseholds is likely to affect anyone involved in the buying or selling of leaseholds, but for some, it may be little consolation. Homebuyers While the government is planning to put a stop to ‘unfair leasehold practices’, it’s unlikely to help those buying a leasehold home right now. We’ve already seen buyers have their mortgage agreements withdrawn as their lender has been alerted to a ‘doubling clause’. Existing leaseholders The biggest victims are existing leaseholders, who bought their homes a few years ago. People already trapped have reported sizable remortgaging fees, over-the-top charges for making structural changes and unfair quotes to purchase their freehold. It remains to be seen whether the government will intervene to help existing leaseholders. Conveyancers Conveyancers could be in hot water for not offering sufficient warning to people who have been stung by the doubling clauses. Investors Depending on how the government decides to act, there could be ramifications for people who unknowingly have freehold and ground rent investments as part of the pensions or portfolios. Major freehold investors could also get caught up. 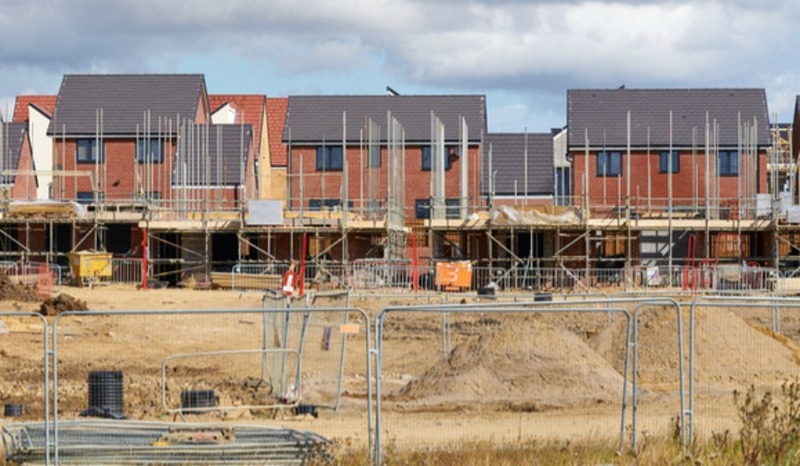 Developers As well as losing out on the fruits of selling freeholds on new-build homes, housebuilders could have to set up significant compensation pots for existing leaseholders who have faced problems. Taylor Wimpey has already addressed this by setting up a £130m fund, but some have warned that this is only the tip of the iceberg. Mortgage lenders So far, Nationwide has already pledged that it won’t rubber-stamp mortgages on properties with unfair leasehold clauses, and other lenders are likely to come under increasing pressure to follow suit should the government’s proposals go ahead. There’s clearly a great deal of concern about these practices, but at a lower level there’s also bemusement about the ground rent system in general. From sinking funds and collective enfranchisement to peppercorn rents, there’s an argument that the maze that is the leasehold system needs top-down reform. “Let me turn to other issues that come up for Back Benchers. I pick up causes, one of which came about as a result of an incident in my constituency regarding leasehold, when some elderly, frail and poor people found themselves paying for something they should not have paid for. They tried to go to the lower-level property tribunal, but found that those representing the freeholders managed to spin the issue between different courts, keeping the case away from low-cost dispute resolution. With the help of the Bar pro bono unit, it took one barrister one day to cut through all that, and my elderly people were paid a rebate of £70,000 without further court action. That case led me to meet people in Leasehold Knowledge Partnership, now a charity, which was created, and is mainly supported and led, by Martin Boyd and Sebastian O’Kelly, who I think give more advice to more leaseholders in trouble than most people who do the same thing professionally—and they do it without pay. What they have achieved is remarkable. I managed leasehold properties and I know there is a lot of unpleasantness in this murky world which has been exploited over the last decade by the major builders. Which? needs to step-up to the plate. In a Conversation area for subscribers rather than this general area we have been mentioning the re-writing of history which is particularly relevant to companies who change their name[s]. Peverel has become First Port and is one of the biggest leaseholder management companies in the UK. “The problem with Peverel is its frankly awful legacy: the bloated child of John McCarthy, it fell into the hands in 2006 of Vincent Tchenguiz. The latter used Peverel to manage his freehold interests, which amount to one per cent of the residential freeholds in the country. Monetising practices became the norm and the leasehold retirement sector began to stir, with the Campaign against Retirement Leasehold Exploitation forming in 2008 /9. When the same sort of practices in retirement leasehold were extended to prime London at freeholds formerly owned by the luxury London housebuilders like the Berkeley Group, there was trouble.St George’s Wharf, Vauxhall, where 35 QCs, members of the Lords, John Major and Chelsea Clinton had their homes, Peverel was not dealing with frail and vulnerable pensioners.The result was a £1 million settlement to the residents. Our own Martin Boyd was responsible for winning back more than £500,000 at Charter Quay in Kingston, sparking his determination to assist other leaseholders. Any impetus ‘Which’ can give to effecting change in the leasehold market has to be welcome. The public is at the mercy of the housing industry, from housebuilders mis-selling leasehold as freehold, the solicitors who do not give advice to clients about increasing ground rents, covenants, length of lease or management charges, to the management companies making service charge demands (which can be outrageous) that have to be paid or the leaseholder is in breach of their lease. The difficulties faced by individual members of the public trying to fight against the endemic unfairness are legion. Leasehold needs to be abolished in favour of commonhold. A formula for calculating the cost of freehold needs to be established, cutting off the gravy train for solicitors etc..and a straightforward process for obtaining freehold tied to time limits and flat charges, known in advance. Management companies need to be regulated and forced by law to reveal exactly how their charges are arrived at and any insurance commissions they receive. How can it be justice that leaseholders are too intimidated by potentially having to pay the legal costs of the freeholder’s barrister that they hesitate to have recourse to law? Julie – Is it the lease conditions or something else that has lead to the lack of a mortgage offer? The date of the build and the name of the builder might be helpful. Which? – is there any intention to cover the leasehold scandals as a serious issue?